This month for MMO Co-Opportunities, we’ll be previewing Guardians of Ember, an MMO from Runewaker now in beta. Since the game isn’t released yet (and the content in the beta is very limited), we’ll be looking at the potential MMO co-opportunities I’ve found in my time with the game. 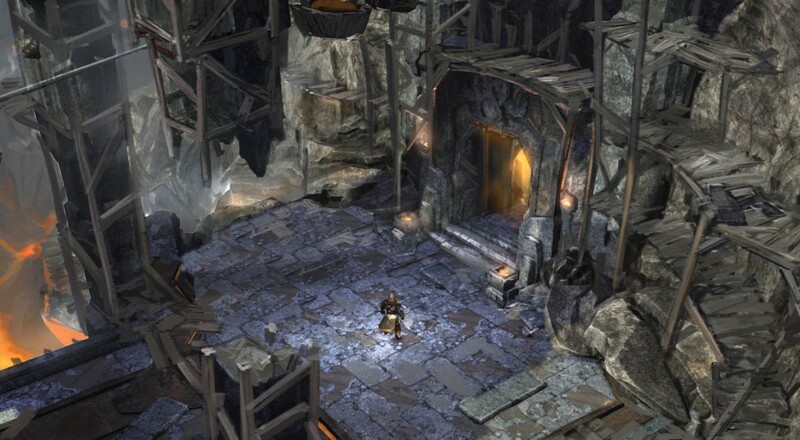 Guardians of Ember (henceforth GoE) shares a whole lot of similarities with games like Diablo III and Path of Exile. In fact, at first I thought it was, in fact, an ARPG rather than an MMORPG, but certain aspects of the game make me re-evaluate it as a hybrid between the two (more on this later). I had the opportunity to play in the first two technical test weekends where there was an enforced level cap and much of the world was closed off from exploration. Thus, the reason for this being only a preview. Character creation is a straightforward affair of picking your race (dwarf, elf, human, or naia), class (currently ranger, knight, engineer, priest, or arcanist), and some fairly standard avatar customization. 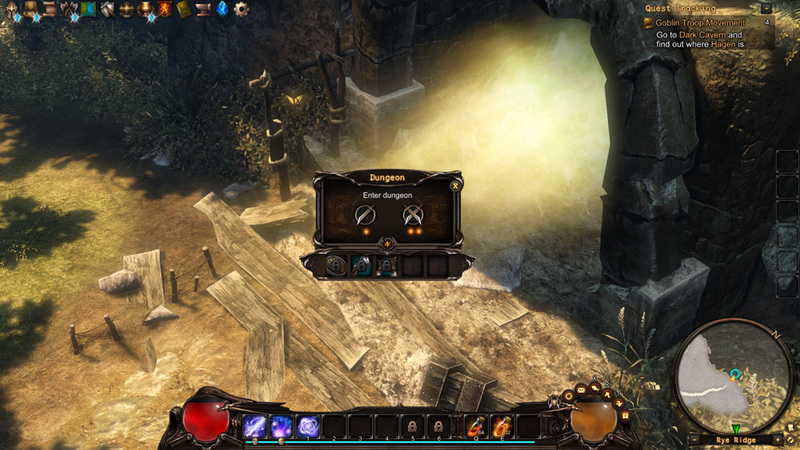 Upon entering the game, players are dropped into a short tutorial area. It immediately becomes clear to a seasoned ARPG player than the combat is pretty much exactly like the Diablo series: click to move, Shift to keep your character in place, Alt to clearly see drops, etc. Players can change their key bindings, but I’ll be referring to the default key settings for this preview. 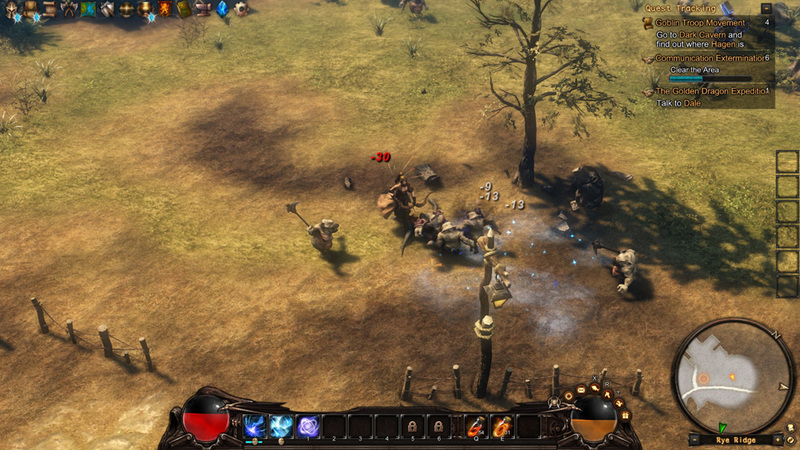 Quite similarly to Diablo III, character skills are divided into primary attacks (left click), secondary attacks (right click), and set groupings of utility skills for the number keys. Leveling up will unlock more skills as well as award points which can be spent in the skill lines of a skill. If you spend enough points, you’ll unlock a new skill which is sort of a mutation of the base skill. For example, the frost ray skill line offers a further skill that’s a frost ray with a small splash effect around it at the sacrifice of some of the damage of the original ray. A primary attack shot that the Engineer gets has an unlock skill that shoots healing bullets instead of damage bullets. All unlocked skills can be freely slotted and switched around, so you don’t have to commit to a deeper unlocked skill at all times. In fact, skill points and attribute points can be fully reset until level 15, so players are free to mess around with different builds and see what they like. That’s really smart thinking on Runewaker’s part and something I fully endorse in both MMOs and ARPGs. Page created in 0.5901 seconds.